At One-Off Cleaning, we specialise in giving homes everywhere that all important cleaning. We have been giving homes throughout the Park Royal area and the Greater London the all important clean for years. So, if you feel that your home needs a vital replenishment and you don't have the time or the energy needed to do it yourself, our company and our one-off cleaning service is perfect for you! We guarantee both the best cleaning services and the best prices, so don't look anywhere else in the NW10 area for this service, for you simply won't find it! Call now on 020 3397 3282 to book or to just to find out more information! Why Are We the Best Cleaning Company Park Royal? To become the leading cleaning company in NW10, we have truly put in the hard work. We at One-Off Cleaning have spent years bringing the best domestic cleaning services to thousands of homes throughout London, and our constant satisfactory results have placed us on top when it comes to quality. Our prices are another reason why we are the go-to company for one-off clean. You simply will not find better rates than our rates, so there's no need to look elsewhere if you are looking for house cleaning services! Our speedy work is also one of the main reasons why you should book our one-off cleaning service in Park Royal, NW10. You can get your whole house cleaned within a day or a few hours, so wait no more, call us on 020 3397 3282. Get a free quote and see how cost-effective we are! No company in Park Royal would be anything without the drive within their employees. Another reason why we as a company have made it to the top is largely owed to our excellent workforce. 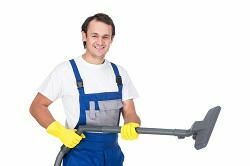 By hiring us for your one-off cleaning, you will be given our fantastic team. Our one-off cleaners in Park Royal, NW10 are a result of years of experience and extensive training. All of our workers have also been background checked and fully-vetted, and we also provide all of our workers with the finest tools on the market! So, with all this in mind, we proudly give homes everywhere our fantastic one-off spring cleaning team. Book now on 020 3397 3282 to get the best deal! Belonging to both the London Borough of Brent and the Borough of Ealing, spanning 1,200 acres, Park Royal is mainly a business-related area. Park Royal owns one of the largest business parks in the Greater London area - Park Royal Business Park with more than one thousand businesses operating in the area. Of these businesses, most of them are food-production companies, and in fact around a third of all London's food is produced by these very companies. There are also many housing areas, most of which occupy the workers. Hanger Lane tube station, Stonebridge Park station and Park Royal tube station serve the area. What Are the Benefits Of Having A Good Clean With Us? There are numerous benefits of giving your home in Park Royal, NW10 a deep cleaning. Just think of how good it would feel to look around your home and seeing it spotless. By hiring us, you don't have to do any of the work, so save your energy and let us take care of it all. We will also give you the best prices for this service – we cannot be beat on price. Our cleaning services are also eco-friendly – we use environmentally-friendly detergents and we recycle most, if not all of the trash in your home after our spring cleaning jobs in Park Royal. So do yourself, your pocket, the environment and your home all a big favour by hiring us for a one-off clean in NW10!